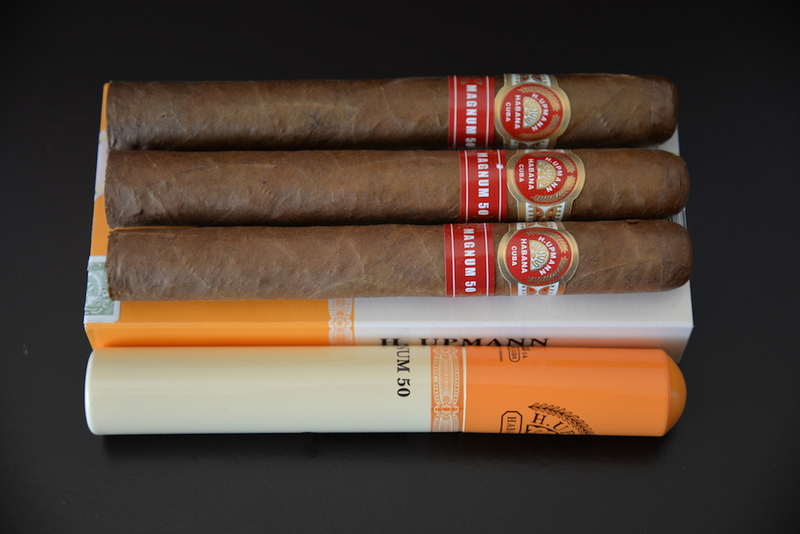 I've been a fan of cigars for a long time now, and I thought it could prove both entertaining and useful to know what you gents are smoking all around the world. 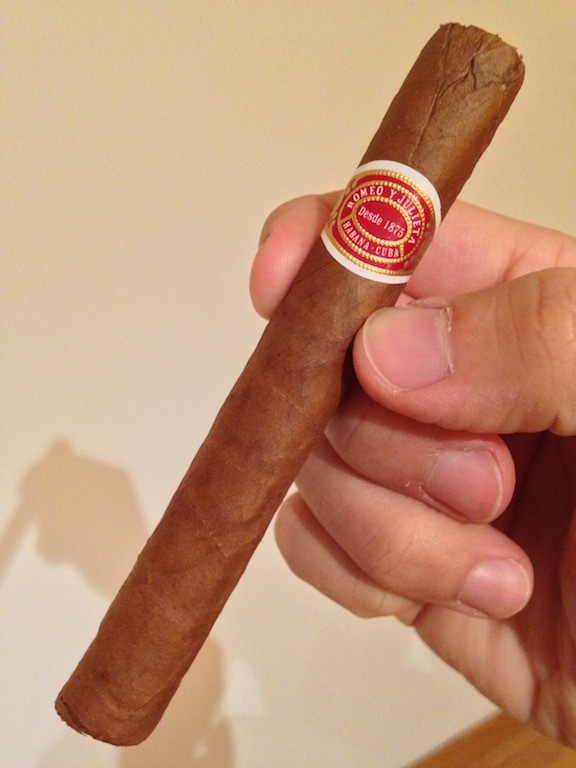 I'll kick things off with my last smoke, and one of my regulars, the Romeo y Julieta Mille Fleur. NOTE: As is recommended in all other threads, please keep picture size at a maximum of 1024x768. Apparently there aren't as many cigar smokers around here as I thought there were! This Sunday I had a nice Glenfiddich 18 year and a purito sized Montecristo. Sorry no pics... Next time. Tonight I am enjoying some big band music a Santa Anna and a Glass of Innis and Gunn. A wonderful treat at the end of a busy day. My stash is down to less than 2 dozen from over 250. I only have 2 from isom left, but honestly I have been disappointed that I can't find the one like I had roughly 20 years ago I was given. I have went from ~10 a week to 1-2 a month now. 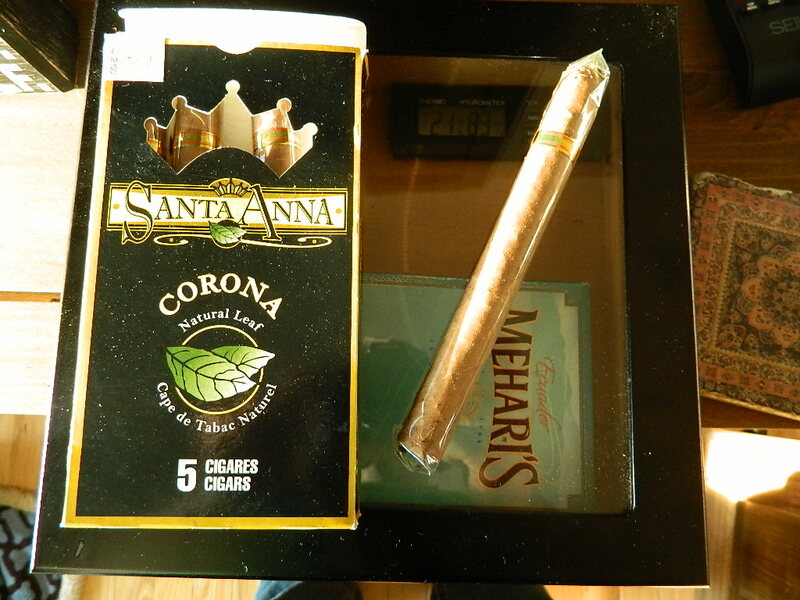 My preference are the peppery cigars from Nicaragua. So how was it? I had one from the ISOM 20 years ago that was so good, and for the life of me, I can't remember what it was. I have tried several since but nothing has compared. I got tastes of chocolate and Carmel and it was the best Cigar I have ever had to this day...ever. I wasn't smoking cigars much back then but even my wife commented on how good it was. A guy I worked with from Canada brought it to me and I have been trying to track him down! Is that wrong? 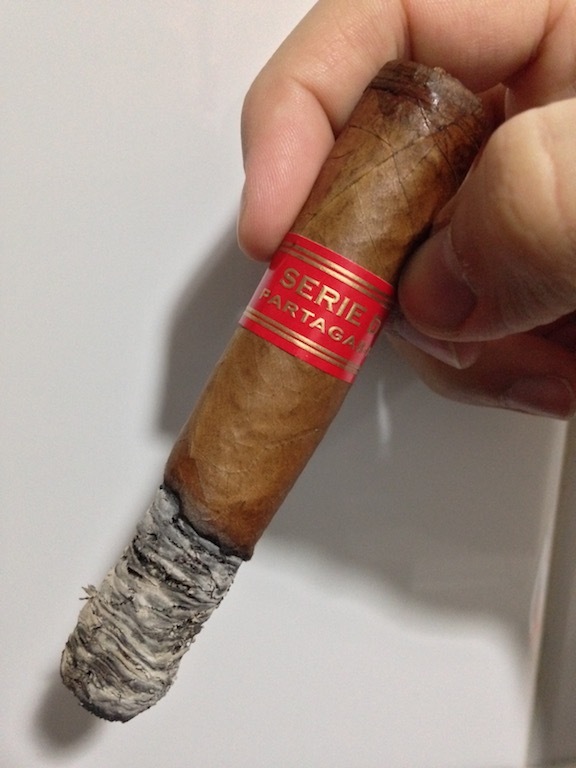 I have two Partagas left I have had for about 5 years, might need to light one up. I haven't had one in a couple years now, but my favorite back in the day was the Montecristo No. 2 torpedo. Yum Yum! (03-27-2015, 03:31 PM)Bowhnter Wrote: So how was it? I had one from the ISOM 20 years ago that was so good, and for the life of me, I can't remember what it was. I have tried several since but nothing has compared. I got tastes of chocolate and Carmel and it was the best Cigar I have ever had to this day...ever. I wasn't smoking cigars much back then but even my wife commented on how good it was. A guy I worked with from Canada brought it to me and I have been trying to track him down! Is that wrong? 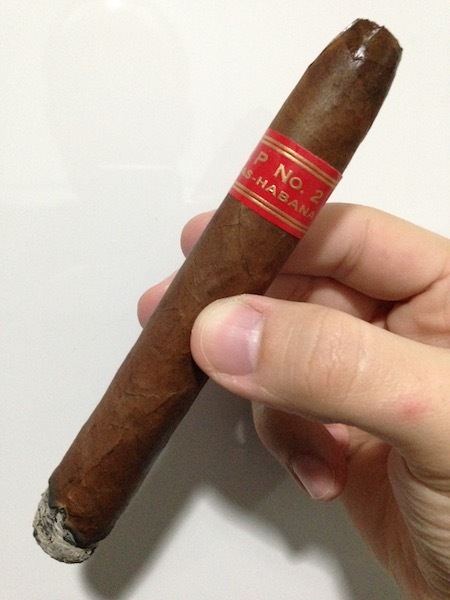 Pretty good, very smooth smoke with hints of sweetness and some nuts, but it wasn't as great as I was hoping it would be, considering it's THE Churchill cigar. For the price, there may be better options out there. (03-27-2015, 07:07 PM)Nero Wrote: I haven't had one in a couple years now, but my favorite back in the day was the Montecristo No. 2 torpedo. Yum Yum! A very nice cigar indeed! I recently managed to buy a few 2011 boxes, and at 2011 prices to boot. I may be lighting one up soon enough! Tonight I am having another Santa Anna and a glass of Innuis and Gunn. Probably will have a Kristoff Ligero Maduro tonite in corona size. Excellent little cigar with classic maduro flavors. 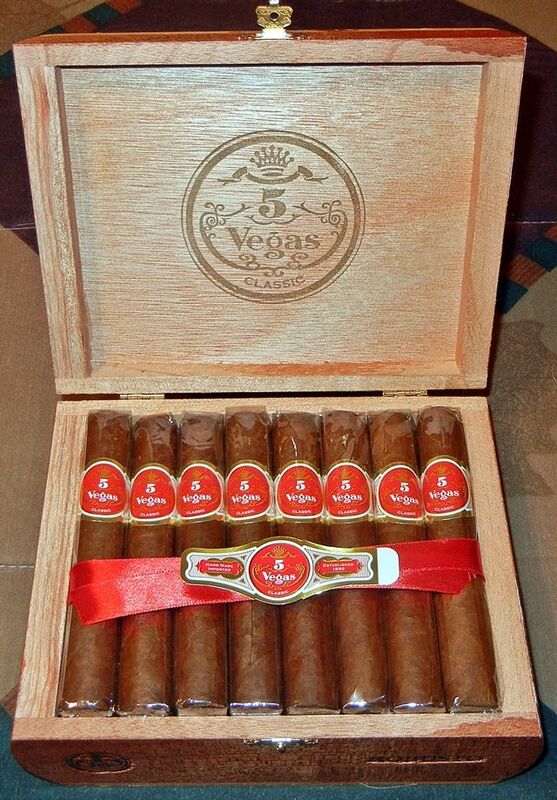 (03-31-2015, 01:06 PM)jwr0201 Wrote: Probably will have a Kristoff Ligero Maduro tonite in corona size. 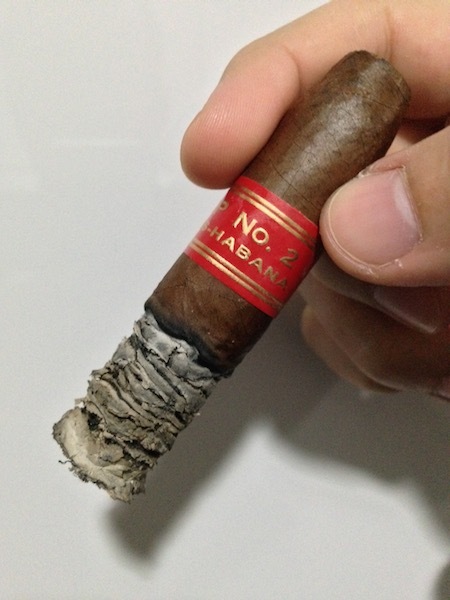 Excellent little cigar with classic maduro flavors. I like Kristoff, and Maduro is my favorite. Friday I had a Padron Londres, one of my favorites. For Easter, a Flor De Oliva Corojo Torpedo. Nice Nicaraguan smoke.